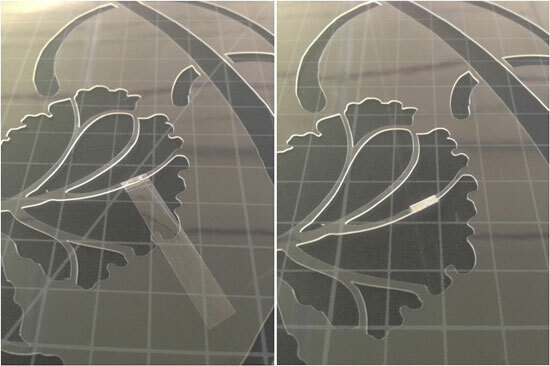 Fixing Reusable Stencils Made Simple with Cutting Edge Stencils! Cutting Edge Stencils‘ stencil designs are meant to be used oodles of times without fail! Sometimes, though, even the most durable wall stencils have a breaking point! So, we’re bursting to tell you how you can easily fix your decorating stencils if they ever decide to up and rip on you in the middle of a project! All you’ll need is some packaging tape and an X-acto knife to complete this how to project! A bridge rip can happen when stenciling with more intricate stencil patterns, or ones with slim pieces of plastic that bridge a gap within the stencil design. To fix: Wrap the packaging tape a few times around the broken bridge. Use the X-acto knife to shape the tape to fit the design of the stencil. Don’t wrap the tape too many times, or the tape will create a bulge which will promote paint seepage! If the wall painting stencils happen to rip in a more general area of the stencil pattern, like a sharp edge of the stencil design, this is also easily fixable much in the same way! To Fix: Place a few pieces of tape over the slit on both sides of the pattern, and shape the tape with the X-acto knife. 1. 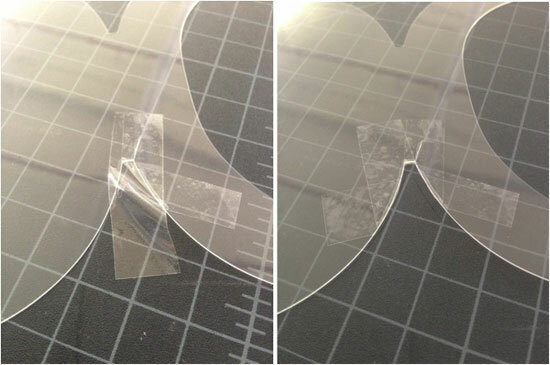 To prevent rips from occurring, go easy on the stencil! If you use painter’s tape to adhere the stencil to the wall while you paint, slowly peel the tape off the wall before removing the stencil. Don’t yank on it! 2. Fix the rip right away! Unfixed rips that leave the plastic flimsy have a high chance of making the stencil rip even more when removing from the wall. Want more tips and tricks from Cutting Edge Stencils? Read our blog for more information on stencil how to projects! Check out our blog post on How to Stencil on Textured Walls! Shop Cutting Edge Stencils for your desired stencil pattern! Two Million Views and Still Entertaining!